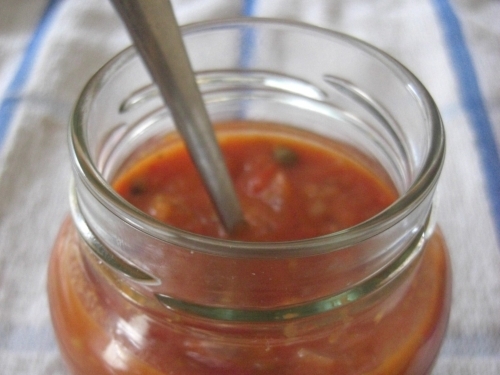 A simple tomato sauce, perfect with pasta or as a pizza topping. Heat the oil and tip in the garlic and chilli, allow to sizzle for a minute beofre pouring in the tomatoes. Bring to the boil and simmer for 15-20mins until reduced and thick. Depending on the quality of your tomatoes, you may want to add a pinch of sugar. Add the lemon zest and season to taste. Serve with linguine, lots of basil and pine nuts. This will keep in the fridge for up to 5days.